Pages 247-280 of the Dell Edition; Pocket Books pages 203-231; about 80 percent of an ebook. As I get further into this, it appears to be clear that we're in territory that Oz Fritz understands much better than I do. Nonetheless, I will press on and do my best. "Ordinary people, are in a sense totally asleep and do not even know it; those who persist in asking the questions can be described as struggling towards wakefulness." Pages 267-268. 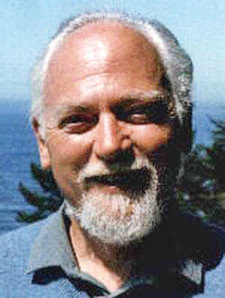 All of Robert Anton Wilson's novels describe people engaged in trying to figure out what's going on. "I prefer to call it Nothing -- since anything we say about it is finite and limited, whereas it is infinite and unlimited." Page 269. This sounds like a description of the Buddhist conception of Nirvana. There are several descriptions of Nirvana in What the Buddha Taught by Walpola Rahula, here is one: "It is incorrect to say that Nirvana is negative or positive. The ideas of 'negative' and 'positive' are relative, and are within the realm of duality. These terms cannot be applied to Nirvana, Absolute Truth, which is beyond duality and relativity." "he was even more afraid of appearing a public coward," Page 273. In the "Clerical Career Proposed" chapter of Cosmic Trigger Volume Two, RAW writes how he began to make friends at school after he bravely withstood a beating from a nun -- he was no longer a "teacher's pet." "The first rule of our Magick is: never believe anything you hear and doubt most of what you see." Page 274. Compare with Robert Anton Wilson's quote, "Doubt lasts longer than faith and provokes thought rather than discouraging it." Source is this interview. I think you're doing great Tom and really appreciate you hosting this discussion. I've learned much more about Masks due to this context. This is my 4th or 5th go round but it's been around 15 years since I read it last. Crowley has been an interest of mine for over 30 years. Masks is arguably the most Crowleyesque of all Wilson's works. p. 249 "...Babcock was spared the ordeal of listening to Socrates morals debated by a naive giant and a self-righteous hunchback." This recalls a well known essay by AC called "The Soldier and the Hunchback." - on the previous page the giant mentions, "I was in Her Majesty's Army during the Boer Uprising"
It served as one of the main subjects in the first week of RAW's Crowley course. He gave an exercise - what would you rather end up with a soldier or a hunchback, would you rather be left with a question or an answer?! I gave a rather self-righteous hunchback response, RAW kind of put me in my place when he responded. p. 250: "We are God's hands", Jones went on solemnly..." - "are" is italicized. This reminds me when I showed up early for a RAW talk. He said to the dozen or so of us early birds, "Now is your chance, ask me anything you want." So I asked, " What is the purpose of human life on Earth," Without missing a beat RAW replied, "To be the eyes and ears of God." p.254 "Only those who have been specially trained, intellectually and morally, can deal with these Forces safely." In Cosmic Trigger I RAW delineates specifically the areas of training Crowley had in mind. Israel Regardie advised all aspirants to undergo psychoanalysis before trying magick. 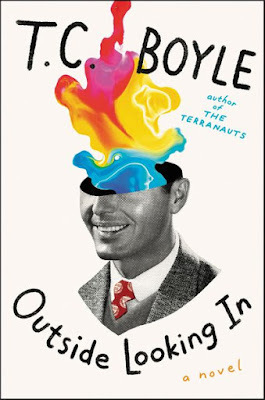 “The ordinary person, if he leaves both faith and skepticism behind and begins to experiment in this area – as you have – would be insane in six months without very careful guidance of the sort I attempt to give you.” "experiment" is italicized. Good advice in general, find someone knowledgeable in the area and apply to them for guidance when necessary. p.267 “ Some however, Crowley went on, cannot rest in either blind tradition or resigned agnosticism, and must seek answers for themselves, based on experience.” This seems like what RAW meant by a gnostic approach to agnosticism. With this sentence RAW has Crowley speaking textbook Gurdjieff. The “sleep/awake” metaphor appears a fundamental one in the 4th Way while Crowley rarely if ever used it. It derives from the Sufis I believe. p. 274 The mongoose story comes from Magick in Theory and Practice. I forget what page, but I found the meaning of "Oz" in this section. Never have seen this anywhere but Masks and I missed it here the first 4 or 5 times through. p. 279 I thought it generous of RAW to give AC "one of the finest homes" on Regent Street. At the time this takes place AC had gone through his inheritance and struggled to make ends meet. “In this book it is spoken of the Sephiroth and the Paths; of Spirits and Conjurations; of Gods, Spheres, Planes, and many other things which may or may not exist. It is immaterial whether these exist or not. By doing certain things certain results will follow; students are most earnestly warned against attributing objective reality or philosophic validity to any of them."